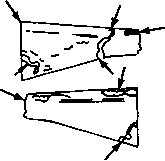 Under the following conditions, hairline cracks originating from buttplate end of buttstock are acceptable. No chipped away material is allowed. (1) One hairline crack, not to exceed one inch in length, per side of buttstock. (2) Two additional hairline cracks up to .22 inch in length, per side of buttstock. (3) A total of three cracks per side of buttstock, originating from buttplate end, are allowable. Buttstocks with unauthorized markings stamped into their surfaces will be replaced. Unauthorized markings, scratched, etched, carved, etc, are acceptable if they do not extend into the fiber of the buttstock which may weaken it. These marks may lie at any location on the buttstock. Cracks in the critical area at the front end of the buttstock are not acceptable and these buttstocks must be replaced. 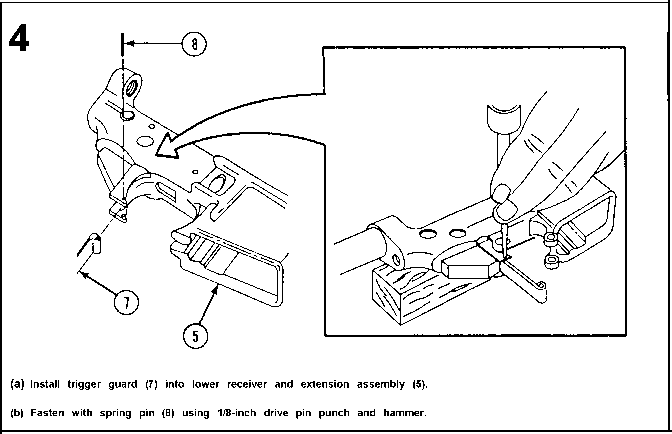 Visually inspect all other parts for unserviceable or missing parts. 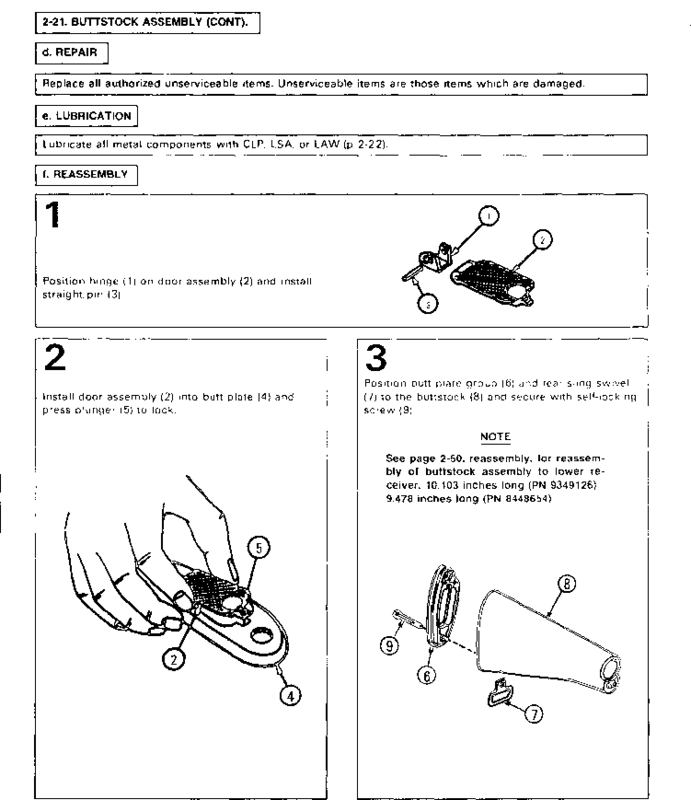 Replace defective or missing parts.